Can't imagine your life without a sweet cold delicacy? Do you like to eat ice cream on the street? In this case, at least once in your life, you would get this dairy product on your clothes. The same with milk: few people know that breast milk can leave unpleasant traces on clothes. How to wash milk from clothes? The following are helpful tips to help you get rid of unsightly milky spots. 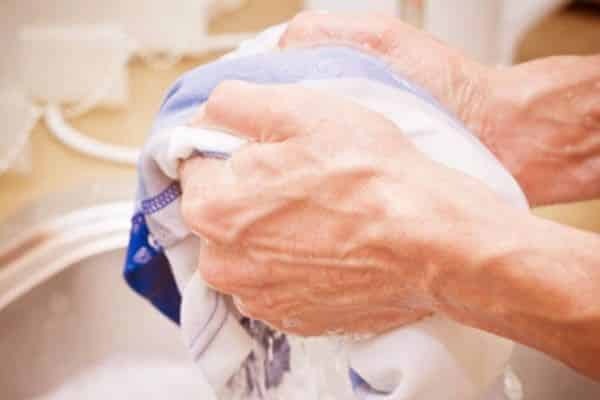 If the stain has appeared on the fabric recently, besides, if you have spoiled the light and delicate thing, you can get rid of contamination using a normal soap solution. 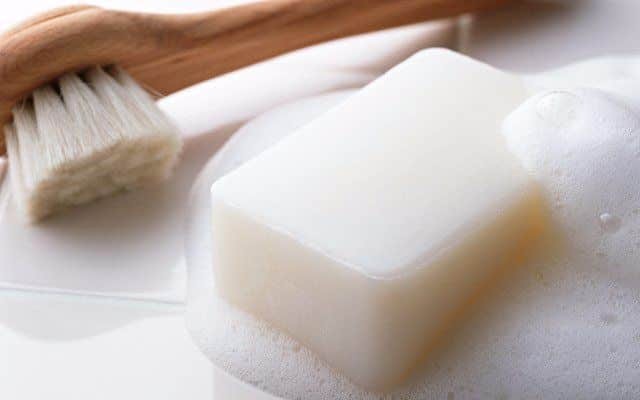 Put the clothes in warm water with a small amount of soap or shampoo, then rinse the thing thoroughly several times and dry it in the usual way. Now there are a lot of powders and other products on sale that will remove any contaminants. It is only important to use them correctly, to keep on the fabric as much as indicated in the instructions. You can buy funds in any hardware store. How to remove the stain of milk or ice cream with your favorite color blouse? In this case, you will need to take two tablespoons of glycerin and the same amount of water, the solution should be added a couple of drops of ammonia. After that, cover the place of contamination on both sides with cotton cloth and iron carefully. Next thing is enough to wash in warm water to remove residual solution. Have you noticed a spot of dairy products or ice cream on your clothes? It does not matter, because gasoline soap will come to the rescue, which effectively removes pollution of any degree of complexity. How to wash breast milk from clothes with this tool? Just rub the petrol soap in the place of pollution and moisten with a small amount of water. You should form a thick foam, which after some time you need to thoroughly rinse with plenty of water. Pay attention: the stream of warm water should move in the direction from the middle of the spot to its edge. 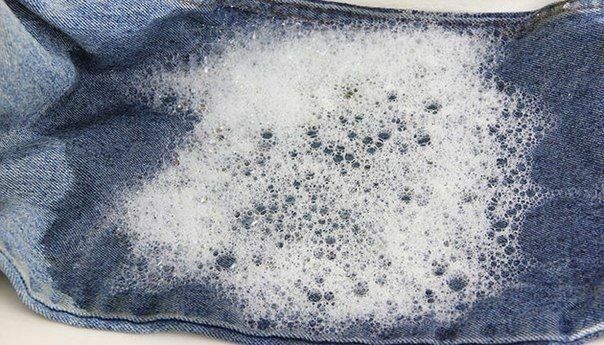 It is worth noting that gas-based soap helps get rid of, including the unpleasant smell of milk on clothes. How to wash the milk that is on the fabric for a long time? In this case, it is recommended to use more radical means, for example, pure gasoline or other solvents. Cotton swab dipped in gasoline, gently wipe the stain and leave the thing for half an hour in this state. After that, remove the residue in warm soapy water and rinse several times. If the stain is fresh, you should not immediately use gasoline and other chemical toxic substances. Often it is enough just to wash the thing in warm, soapy water, and it is better to do it manually, so you pay attention to the pollution itself. Before you begin to remove the stain with aggressive solvents, be sure to check their effect on the wrong side of clothing. Otherwise, you can just spoil the thing. It is not recommended to use gasoline, acetone and other similar substances on delicate and thin fabrics (for example, on silk): you can damage the structure of the material. How to wash stains from breast milk and ice cream? You can use both proven folk remedies and professional methods. In the latter case, it is recommended to carefully study the instructions for use of a professional detergent. Carefully remove the remnants of all funds for cleansing, otherwise there may be ugly stains. For the same reason, it is recommended to wipe the thing completely, rather than trying to remove only the stain. Now you know how to wash breast milk and ice cream from clothes. If the above methods still did not help, and the stain is too old, it is recommended to dry-clean the thing: professionals will quickly remove contamination of any degree of complexity and will not damage the fabric structure. Good advice on removing stains from clothes. I'll write myself a notebook so as not to forget, really working methods. Thanks to the author and we are waiting for new publications. I watched the issue in Galileo, that you can get rid of such stains with the help of milk imagine ?! I tried to remove the milk stain on my shirt with glycerin - it worked! But with colored things, be careful. 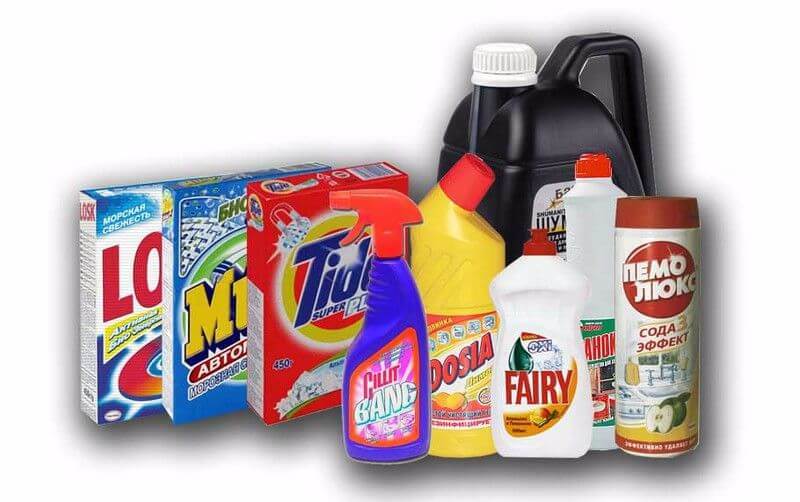 Spots from milk, ice cream and other dairy products are easily excreted using ordinary laundry soap. Oh yes, more than once we have already encountered the problems of stains that are difficult to excrete, especially such fatty ones as from milk! At the expense of gasoline, I, of course, doubted a little, but then I took the risk and tried it. The result was impressed!) I did not expect this!) Still, it is sometimes useful to read articles that recommend something useful, such as yours!